Working through the technical aspects of printed shade cloth need not be a tedious exercise. When you use the services of Printed Shadenet Solutions you get over a decade worth of experience in outdoor branding and a wealth of knowledge and support, friendly staff and they ship to anywhere in South Africa. 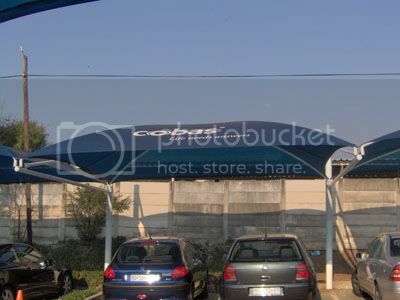 Having created printed shadenet for some high profile events like the Fifa World Cup 2010 in South Africa and nationally recognisable construction companies like Grinaker-LTA and Murray & Roberts Construction, Printed Shadenet Solutions have the product to solve any shade cloth branding need. When thinking about marketing using an alternative outdoor branding medium like printed shadenet, displaying at outdoor events that are a little unusual is sometimes a great way to get your name out there. Have a look at the upcoming Robben Island Balloon Run, happening in Cape Town this Saturday, 6 April. With a large group of people gathering outdoors, printed shadenet could be the perfect advertising material to use, as it can be used for windbreaks or cordon off areas of the event, all the time displaying your brand and creating huge exposure through physical sight, pictures taken and later uploaded to social media, as well as television if the event is covered. Printed Shadenet Solutions use on the best quality HDPE (high density polyethylene) for their printed shadenet, instead of the more common, but structurally less durable and more expensive PVC (polyvinyl chloride). The HDPE cloth is impervious to rot in damp conditions and does not crack in harsh sunlight - it is also recyclable, making it a great green product for the environmentally conscious (something you need to think about when marketing outdoors). Click here to go to the Printed Shadenet Solutions website where you will find examples of previous jobs, plus lots of extra branded shadenet information. Contact and order details on the website. Get ready for massive exposure using the alternative marketing tool that is printed shadenet.